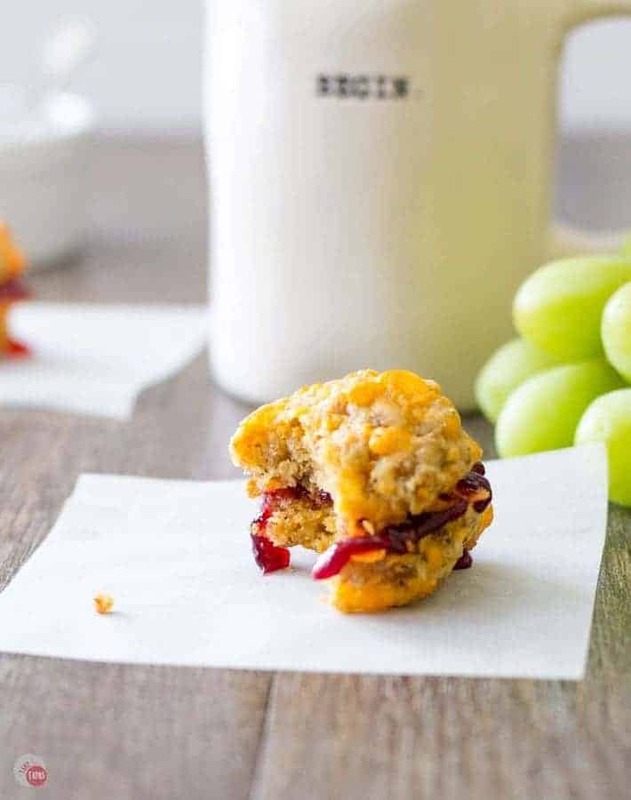 Sausage ball sliders with jelly filling are a great way to change up your breakfast routine! It’s Spring so that means turning over a new leaf and setting some new breakfast goals. Make a change along with the season and start your day off with a change in your breakfast! Ever have crazy mornings like me? I’m screaming at the kids because they won’t get out of bed. They can’t find their one of their socks or shoes. They don’t like the lunch I packed for them yesterday but won’t tell what they want instead so I make the same thing again. As we head out the door they scream they are hungry and all I have is sugary cereal or a granola bar to feed them. Breakfast is supposed to be the most important meal of the day. Most times I miss breakfast and only get to eat when it is considered “Brunch” time. The kids rarely eat breakfast because it is too late and when they do, they get sick of sweets. I do too but sometimes, ok let’s not kid ourselves, all the time I don’t have time to make them eggs and such. I can barely get them dressed and to school without being tardy. We are not morning people in my house! When you throw in daylight savings time and losing an hour of sleep, I have some pretty cranky people on my hands. A drive-thru is an option if I wasn’t already running late, but it gets expensive and I can’t get my breakfast exactly how I want it. For breakfast, I am always craving something savory and filling! One of my favorite things to eat is a sausage biscuit with jelly on it. That may sound weird but a tiny bit of sweet is the perfect way to round out a savory breakfast. Spring is the time to make things new. A new time to wake up. I love that it is light outside when I take the kids to school. New (or warmer) clothes to bring out. Time to clean out the house! Ugh. Spring cleaning is not fun but I do enjoy getting things organized and spruced up again. A goal we have for this year is to finish working on our house. We just remodeled our kitchen so I really have a new spring in my step. 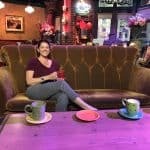 Another goal is to stop yelling at my kids too much. One way to do this is to feed them a good breakfast so they are not irritable, and in turn, won’t make me irritable. Whether it is Easter morning or Spring Sunday mornings, my favorite thing for breakfast is my mother in law’s sausage squares. 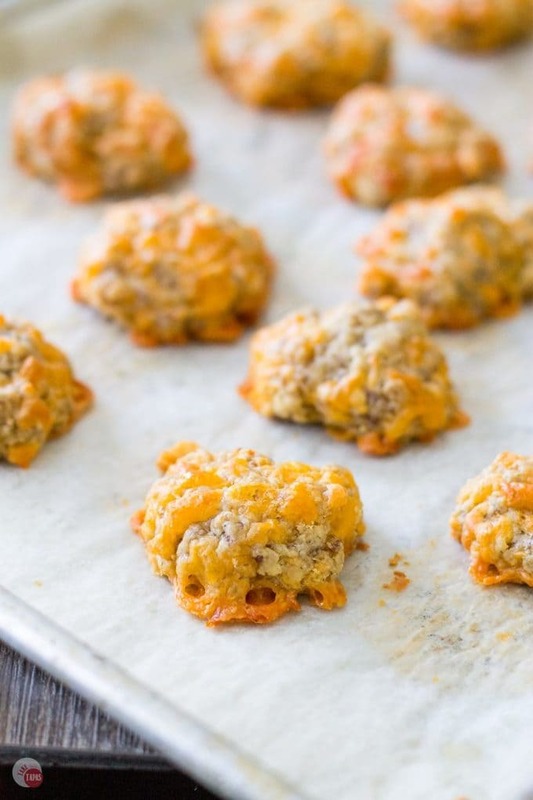 A simple mix of sausage, cheese, and baking mix pressed and baked in a pan calls to me. Those sausage squares have made many a morning special for me. She even makes them into small sausage balls for parties! The sausage ball or squares recipe got me thinking… The sausage balls have everything that a sausage biscuit has and would make a great “bread” substitute. My favorite breakfast sandwich made easy!! My new #BreakfastGoals2018 are accomplished with the addition of a smear of my favorite jelly! The sausage ball recipe is super simple to make and can even help you get the kids involved. 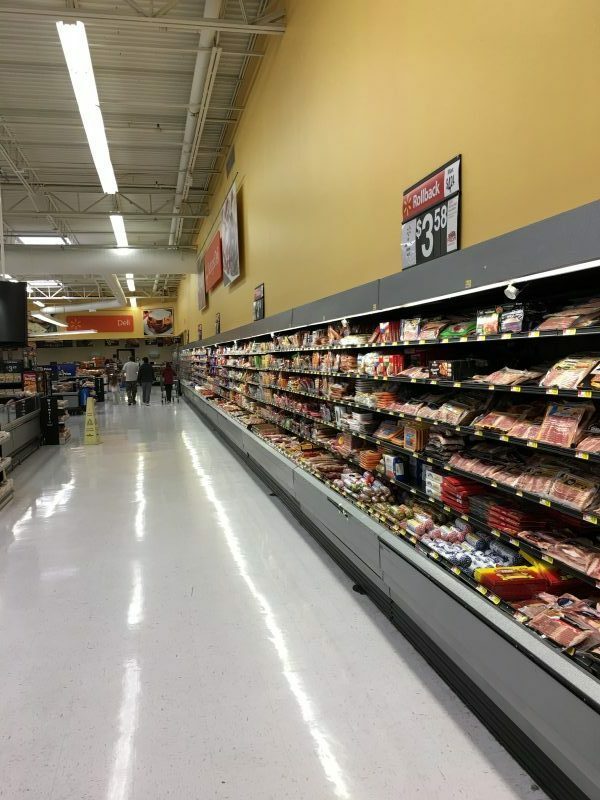 The first thing you need is a good sausage! I prefer a spicy one but if you are a little shy with the spices, try a mild one. 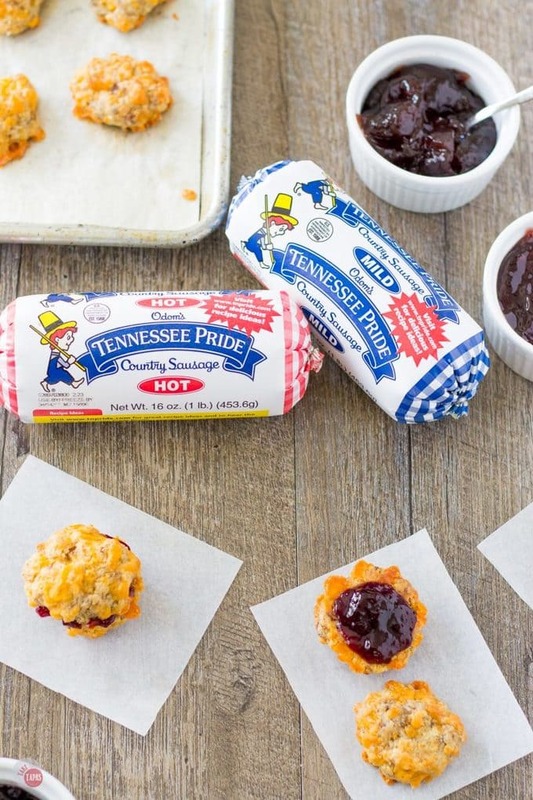 Odom’s Tennessee Pride® Country Sausage has great flavor and is always ready to use! I was already out and about running errands so I swung into my Walmart market, or “SmallMart,” and grabbed one of each flavor. My youngest son isn’t that big on spice like the older one is. The sausage ball recipe is a simple mixture using a baking mix for waffles or pancakes. Sometimes I have some on hand, usually right after I buy it before it turns into pancakes, but if not you can make your own. All-purpose flour, butter, baking powder, and salt is all you need. You can make a big batch and store it in the fridge, but I like mixing it fresh. You can also use Self-Rising flour and leave out the baking powder. The sausage ball recipe calls for butter so adding it in with the flour and baking powder makes the baking mix while also making the sausage balls and no need to store it in the fridge. Just add the cheese and the recipe is complete! Mix it all together and scoop into 1 inch balls. 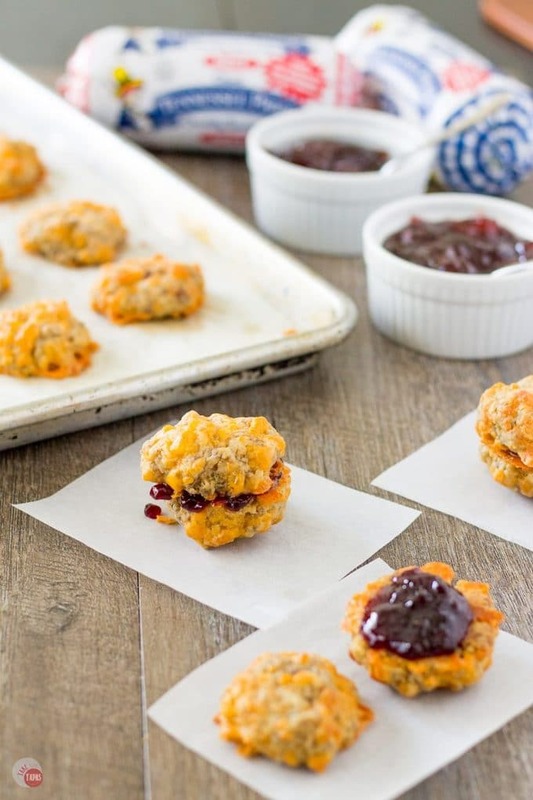 Bake and you have your sausage ball “biscuits” to make your sliders. Once the sausage ball “slider buns” come out of the oven, you can smell the spicy and cheesy sausage! It will make your mouth water and certainly get you ready for breakfast. All they need is a slather of your favorite jam or jelly. I like the classics like grape, but cherry and blackberry jam is good too! If, you are really adventurous try a hot pepper jelly. Here is a great recipe for Four-Pepper Jelly that I made for chicken wings. 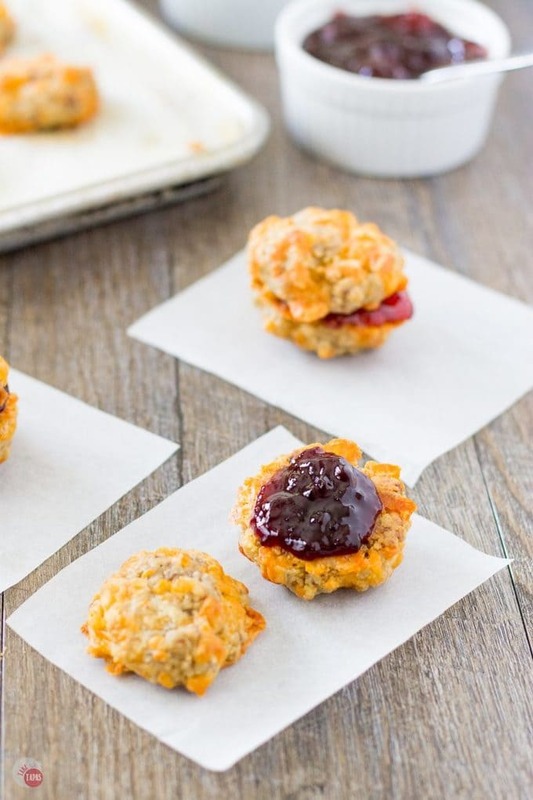 Whichever jam you decide to add, these sausage ball sliders are perfect for breakfast! Wrap them in parchment paper or place a few in a cup and take them on the road with you. Totally portable for rushing out the door with the kids or while you are running errands. A hearty, savory breakfast with a touch of sweet to put a spring in your step and handle your #BreakfastGoals2018. 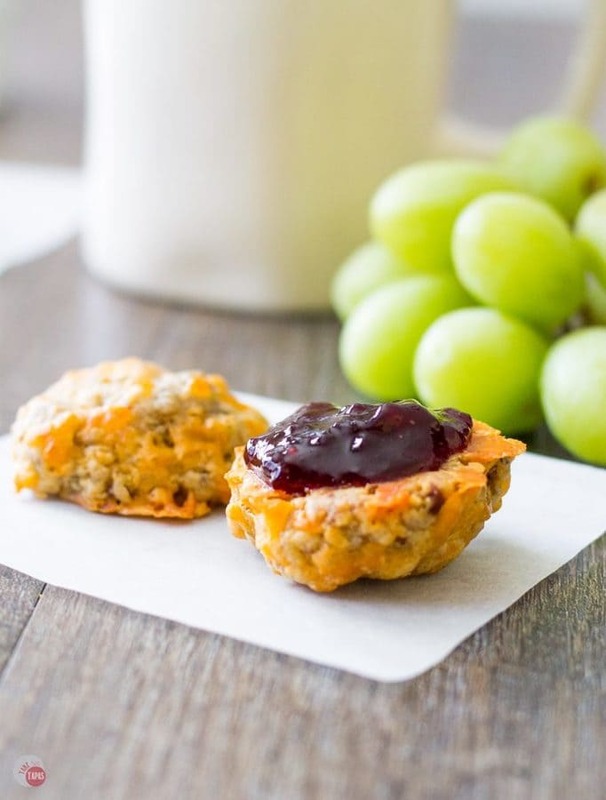 Sausage ball sliders with jelly filling are a great way to change up your breakfast routine! It’s Spring so that means turning over a new leaf! Mix the flour, baking powder, and butter together in a bowl. Combine with your fingers until the butter is broken up into small pea-sized pieces. Add in the sausage and mix to combine. Add in the cheddar cheese and mix to combine. Scoop the sausage mixture into 1 inch sized balls. Press them flat on a parchment lined baking sheet much like a cookie. Bake for 20 minutes or until golden brown around the edges. Do not over bake or the middle will be dry. At this point you can store them in an air-tight container in the refrigerator until the morning. You can reheat them in the microwave for 15 seconds or in the oven for 5 minutes. 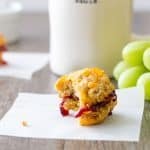 Smear with your favorite jelly for a delicious breakfast slider! If you need some more inspiration for your #BreakfastGoals2018, check out these recipes! My favorite recipe is the B.E.S.T. Breakfast Nachos made with fries. These look Delicious and easy to make! Will prepare for breakfast this weekend.